The baseball season is back, so that means it’s time to ditch those pitchers you drafted and start combing the waiver wire. I didn’t even fake it this year. I didn’t waste time with starting pitchers. I went for some closers and my league also counts holds, so I chose some pitchers for that task, too. But when it came to starting pitchers, I’m going to side with the strategy of regularly going to the waiver wire, attempting to get strikeouts and quality starts. And every once in awhile, I’ll compete in the ERA and WHIP categories. Week 1 offers some mystery, but there are still a few options available as week 1 two-start pitchers on the waiver wire. It wasn’t pretty last year for Stroman. Injuries derailed his year and therefore, his strikeouts disappeared. It may only be one game, but his opening day start was a good omen, with Stroman carrying a no-hitter into the seventh inning. Most importantly, he tallied seven strikeouts during the shutout. Now, he gets Baltimore, one of the worst teams in Major League Baseball, and Cleveland, a team that has been slow to score many runs this season. 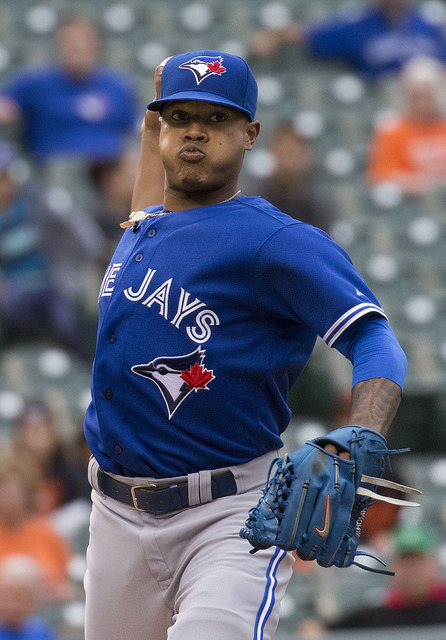 The trouble with this time of year is getting guaranteed two starts, but Stroman should easily be trusted against Baltimore in his first anticipate game of the week. It’s not an easy week for Fiers, but it’s one where he should have some redemption. Fiers will toe the rubber against Boston and Houston, both teams with dynamic offenses. However, early in the season, it’s tough for offenses to find their rhythm, which has so far happened to Houston. And the matchup against Houston should offer some more motivation for Fiers, who previously pitched for the Astros. Fiers has good enough stuff to create problems for good offenses, so I anticipate Fiers will generate two solid starts.